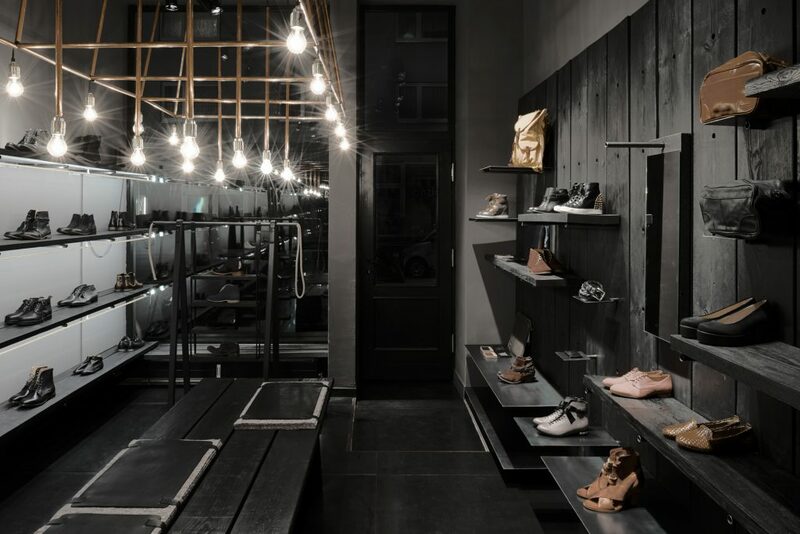 Ruby Saloon is a concept store for leather goods, shoes in particular. 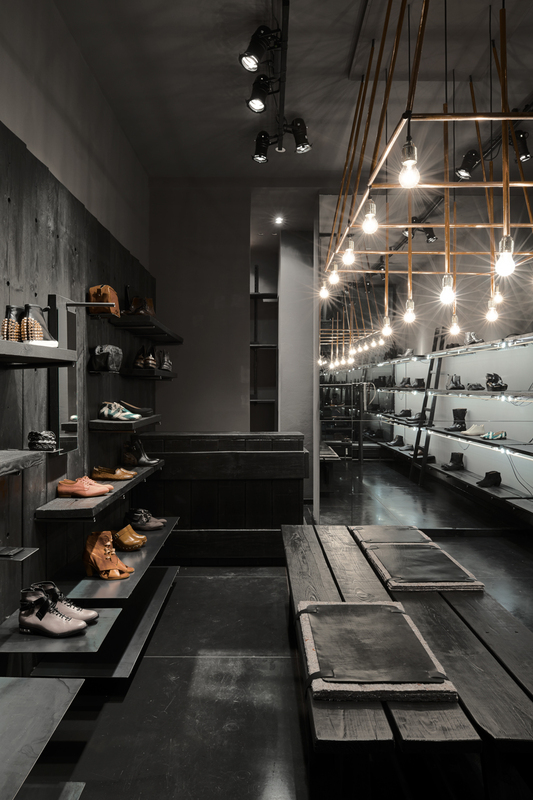 The space is small, only 35 sqm, a large shop window faces the main drag. 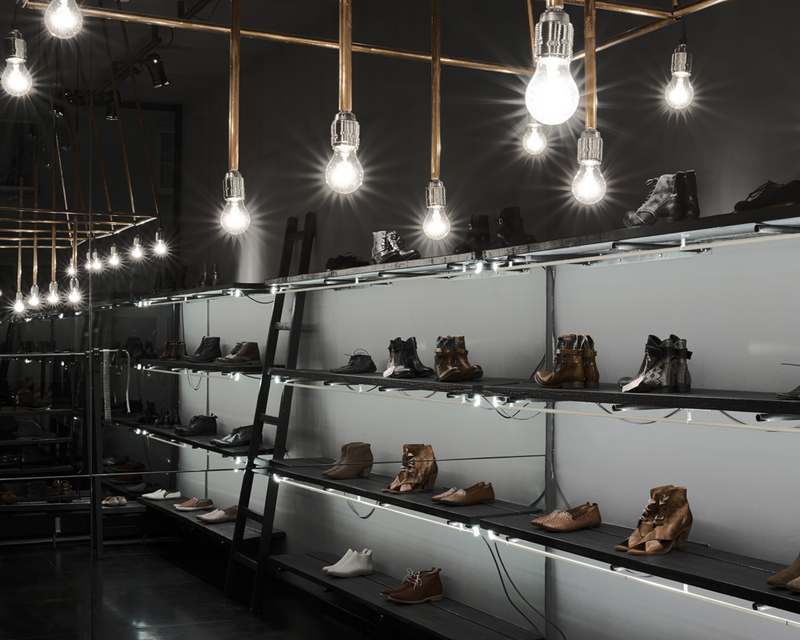 Inspired by the famous saloons of cowboy films llot llov developed and adapted the concept in this new context. 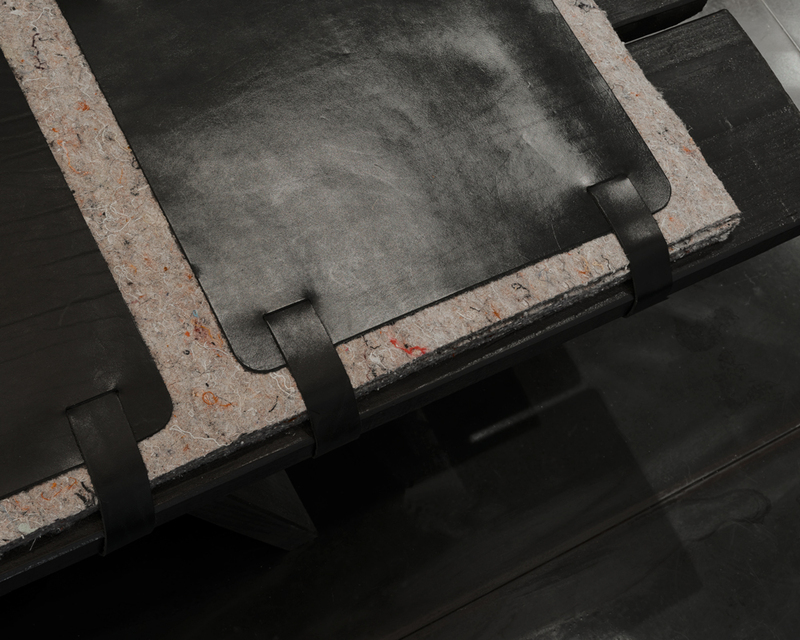 The floor is covered with big metal sheets, the surface of which develops a patina over the years. The centre piece of the store is a bench that doubles as sitting and showing device. The sitting part is covered, saddle like, with rough leather and felt. Above the bench dangles a light installation made of copper pipes, simple and pure like barn lights, but due to its size and symmetry grand like a chandelier. 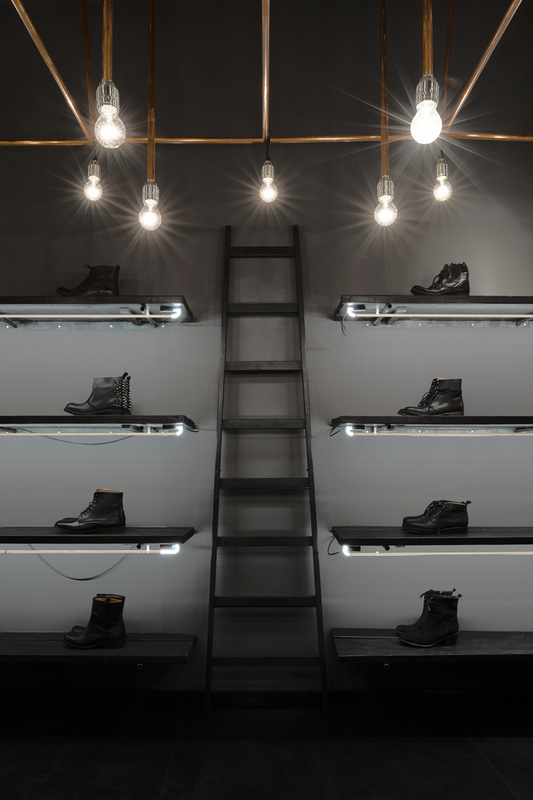 The mechanics behind the light object were exclusively developed by llot llov. On the right hand side is a wall of blackened wood that gives the room a very rustic appeal. 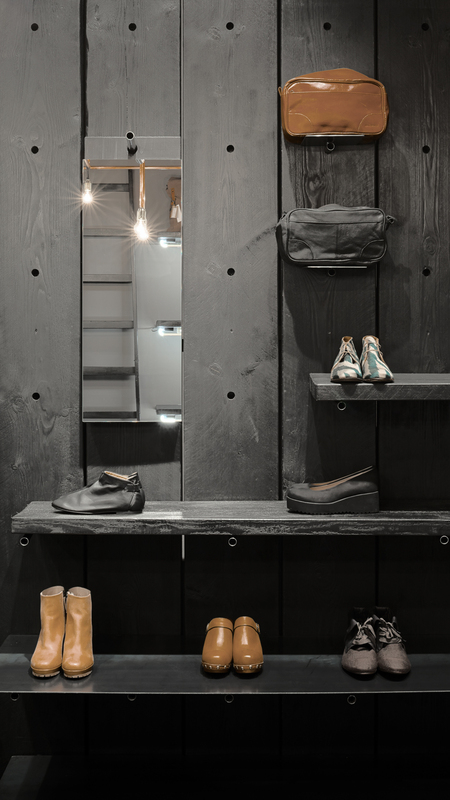 On the left hand side rests the shoe shelf, which is multiplied by a mirror at the end of the room. The optical illusion of an endless shelf makes for a larger room. 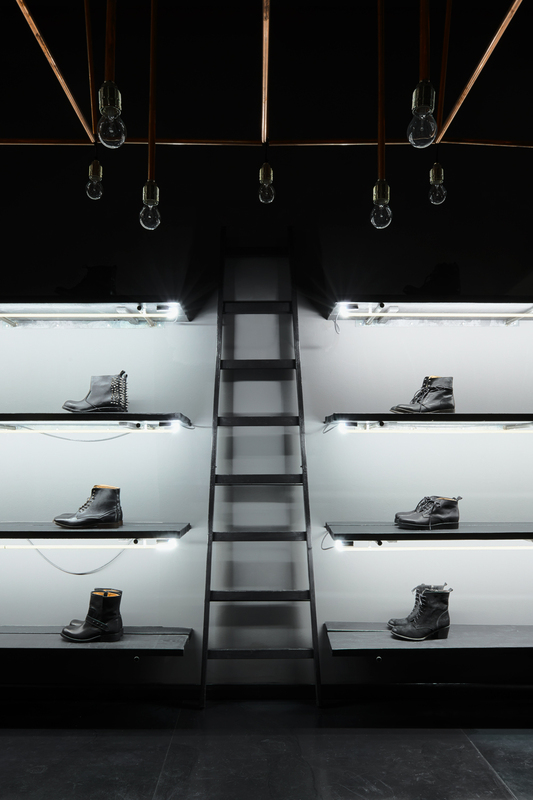 The neon lamps give the store a futuristic appearance and provide equal lighting for all products.